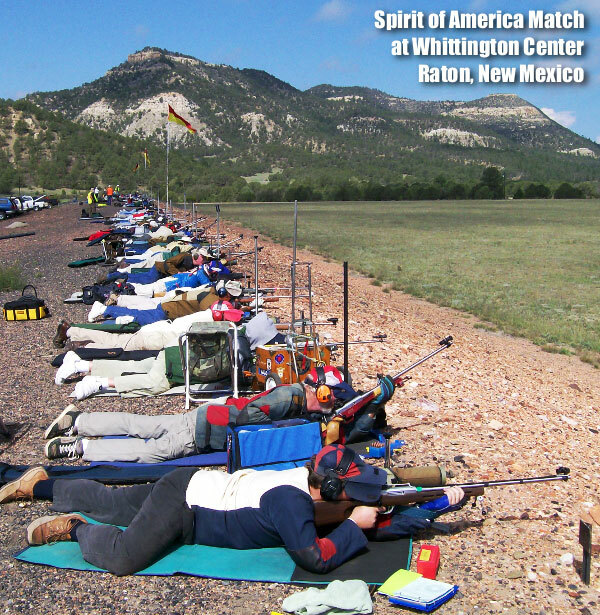 Sponsored by the Bald Eagles Rifle Club, the 2014 Spirit of America Fullbore Rifle Prone Championship will be held at the NRA Whittington Center near Raton, New Mexico on 5-12 September. The event is open to Target Rifle, F-Open, and F-TR shooters. There will be matches at 300, 500, 600, 900 and 1000 yards. CLICK HERE for 2014 Spirit of America Match Program. Since 2001 the Bald Eagles have hosted the Spirit of America Match and it has grown in both stature and reputation with every year of competition. It is one of the premier fullbore matches in the world, and the range at Raton is one of the most challenging in the United States. The short ranges are fired in the mornings and the long ranges in the afternoon. Short range matches (300, 500, and 600 yards) are fired “two to the mound” while the long ranges (900 and 1000 yards) are fired “string fire”. Both individual and team matches are fired and competitors not belonging to a recognized or hometown team are encouraged to join a “make-up” team for the experience and the camaraderie of team shooting. The total round count for the week is more than 400 (counting practice and “blow-off” shots.) That’s lots of shooting on one of the best ranges in the world! In addition to cash, trophies, and medals there will be a door prize table containing various merchandise from recognized companies in the shooting sports industry. Top door prize will be a Savage M12 F-Class rifle with a Nightforce Competition scope. To learn more about the 2014 Spirit of America Match visit the Bald Eagles Rifle Club website at www.baldeaglesrc.org. The match is for fullbore Target rifle, F-Class (Open), and F-Class (T/R). There will be separate awards for each category. Gun Specs: A rifle chambered for the unmodified 7.62×51 or commercial .308 Win cartridge, or a rifle chambered for the unmodified 5.56mm or commercial .223 Remington cartridge. Any safe trigger is acceptable. Share the post "2014 Spirit of America Match at Raton September 5-12"
The proposed law would have required firearms retailers to pass buyer ID information to state authorities for all ammunition purchases made in the state. 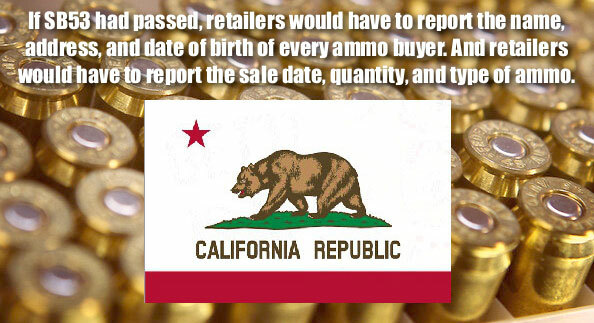 The bill’s author, Sen. Kevin de Leon (D), California’s next State Senate president, originally proposed that those buying ammunition be required to obtain a state permit and undergo a background check before each ammunition purchase. The bill was amended numerous times in an attempt to force passage and the final version that failed would have required ammunition sellers to provide information on purchasers to the state Department of Justice (DOJ) after the fact, including buyer name, address and date of birth, in addition to the date of the sale, brand, ammunition type and quantity. Share the post "Ammunition Registration Bill Fails in California Assembly"